Nokia 8.1 has not gorilla glasses. 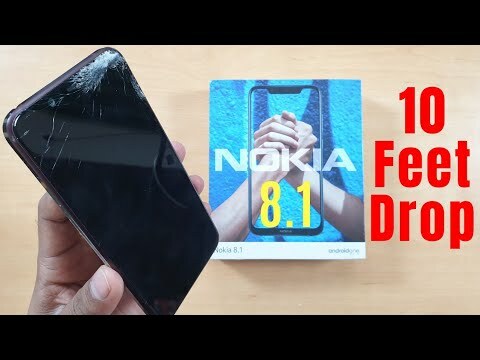 Nokia 8.1 has made of NEG DINOREX glasses. This glass is made in Japan. That thing is a better? @TonyThanh I don't know about quality, you can google it. @nitin kachare @mehtasameer2087 @Argho Sarkar you people have any idea? Please give information. It's competitor of gorilla glass.So Don't Worry It's good and durable.just check on video. @mehtasameer2087 not be rude. I read it after I posted that I didn't notice before. And I tagged you because I thought you might have information so you let a person know who asked me, thatst it. And I won't tag you from now onwards. Thank you for your comment here. @mehtasameer2087 ; I made 2-3 thread on same topic because I wasn't knowing about policy and I was new to here but I read rules as @nitin kachare request me to read it & gave me information politely. @Argho Sarkar @nitin kachare thank you people for support. I think you didn't get what I wrote earlier I said I didn't read that post before writing it about again alright. And I also said I won't tag you. Except you, no one has any problem with this. I'll post 100 times, it is none of your business. Obviously if that wasn't rude than of course you should know how to be humble with people with words. @HMD_Laura @megan you can see how this man is behaving here What words he's using? That's totally offensive and unacceptable on this platform. Take action against him. @mehtasameer2087 ;mind your language Mr. Please Be Respectful Eveyone and please Stop the topic here don't post anything as the discussion is already available and don't need to respond.Thanks.🙏. P.S. I warned @mehtasameer2087 but unfortunately he decided to want his account to be deleted - which I did. Just in case someone is saying we are banning/deleting user for no reasons again.